Which CAE LearningSpace Solution is Right for Your Sim Space? LearningSpace Experience: The affordable option to achieve always-on capture and recording for easy debrief. Web-based: Record, annotate and assess in any room, on any device and from anywhere with no need for separate user licenses. Eliminate downtime with remote system monitoring, troubleshooting, regular backups and software updates. Secure: With state-of-the art web technology, LearningSpace helps you protect privacy and data. Ensure protection for your institution with centralized authentication for all users, password sign-on and encryption of all captured data and recording. Plugin-less: LearningSpace is a complete, self-contained solution. There is no need to install additional third party software or plug-ins to effectively use our video debriefing tools to capture data, assess learners or manage your center. 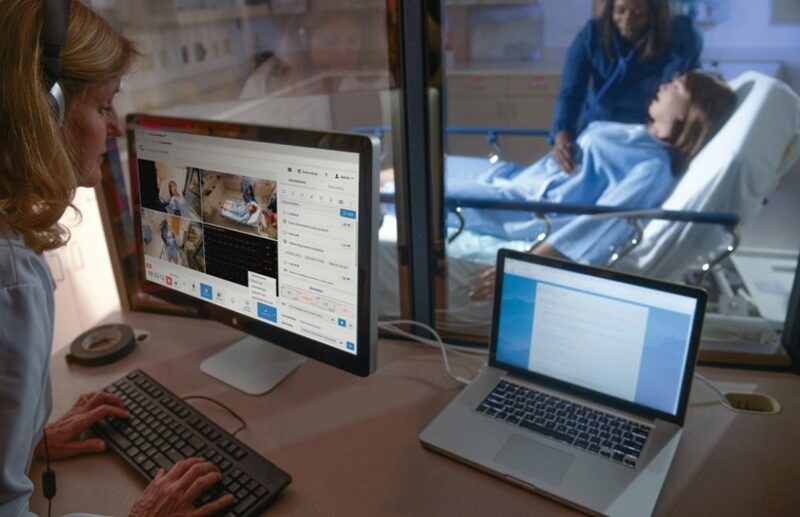 Scalable With one scalable platform for healthcare education and universal hardware configurations, CAE LearningSpace grows with your center without requiring replacement equipment. Simply add rooms, features, and even linked simulation centers as your program grows. Best-in-class customer service: CAE Healthcare delivers proven solutions with the added value of expert guidance and support. We offer free Training for Life for all your staff, live telephone support and remote monitoring for proactive troubleshooting and resolution. Turnkey project management From initial consultation through system design, implementation and training, you will work with one dedicated team that will help you meet your educational objectives, budget and timeline. Whether your goal is to increase pass rates, prove ROI for your simulation center or ensure maximum efficiency with limited staff, we are the best team to offer a custom simulation management platform. From formative simulations and performance-based skills assessments to comprehensive center management for multiple programs across multiple locations, CAE LearningSpace has the solution to suit any existing and changing needs. 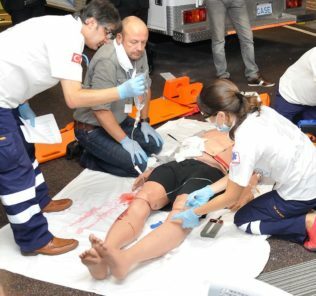 As a world leader in simulation-based turnkey training solutions, CAE Healthcare offers an experienced and dedicated staff with healthcare simulation expertise that is unmatched in the industry. Learn more about CAE LearningSpace: 3 Powerful Tiers of Sim Center Management!